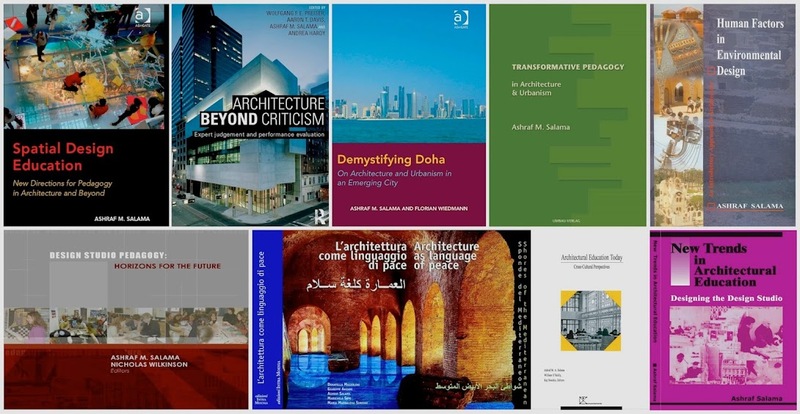 Professor Ashraf Salama has contributed many essays published in the international press on architecture and urbanism and education and practice in these fields. The following is a list of selected essays published over the past two decades in international and regional trade design and architecture magazines. Selected essays are available for download; click on titles. Salama, A. M. (2016). Urbanity on the Arabian Peninsula: From the Tradition of the Ordinary to the Tradition of the Elite. Architects for Peace, June, Melbourne, Australia. Salama, A. M. (2014). Intervention Urbanism: The Delicacy of Aspirational Change in the Old Center of Doha. Urban Pamphleteer: UCL Urban Laboratory. London, United Kingdom, PP. 1-3. Salama, A. M. (2013). Urban Diversity Under the Microscope: A Brief Examination of Public Open Spaces in the City of Doha. B’Here Annual Review-Qatar 2013, Arab Communication Consult, Beirut, Lebanon, PP.126-129. Salama, A. M. (2012). Urban Space Diversity in Doha. Urban Design, Urban Design Group Journal, London, United Kingdom, Issue 124, Autumn 2012, PP.17-20, ISSN # 1750-712X. Ashraf M. Salama (2012). Empowering Future Architects and Urban Designers Integrating Inquiry Based Learning (IBL) into Teaching Practices of Architecture. TAT-TVAM: A Bi-Annual Journal of Architecture and Allied Disciplines, Nagpur, India, PP. 1-17. Salama, A. M. (2012). An Aspiring Capital: Global Flows and Contemporary Doha. B’Here Annual Review-Qatar 2012, Arab Communication Consult, Beirut, Lebanon, PP. 114-117. Salama, A. M. (2012). Narrating Doha’s Contemporary Architecture: The then, the now, the drama,the theater, and the performance. Digital Architectural Papers, Online, Issue 8: Middle East 1: Conditions for an Architectural Practice. 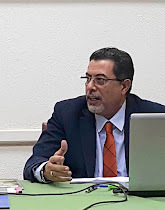 ETH-Chair: Josept Lluis Mateo. Swiss Federal Institute of Technology, Zurich, Switzerland. Salama, A. M. (2010). Gardens Beneath Which Rivers Flow: Water in the Muslim Constructed Landscape. Faith and Form, Inter-Faith Forum on Religion, Art, and Architecture – IFRAA, Connecticut, United States, Volume 43, Issue 3, 2010, PP.30-36, ISSN # 0014-7001. Salama, A. M. (2009). Yellow Urban Alternatives for a Green and Orange Context, Belfast-Northern Ireland. Architects for Peace, Online Essays, September 2009, Melbourne, Australia. Salama, A. M. (2009). Sustainability /Trans-disciplinarity: A concern for people and environments between confusing terminology and outdated approaches. INTBAU-international Network for Traditional Building, Architecture, and Urbanism - Essay 20--Online. London, United Kingdom. Salama, A. M. (2009). Cultural Identity Manifested in Visual Voices and the Public Face of Architecture. Architects for Peace, Online Essays, May 2009, Melbourne, Australia. Salama, A. M. (2008). Cairo’s Plurality of Architectural Trends and the Continuous Search for Identity. Special Edition of Viewpoints, Middle East Institute, American University, Washington, DC. United States. PP. 13-16. Salama, A. M. (2008). Doha: Between Making an Instant City and Skirmishing Globalization. Special Edition of Viewpoints, Middle East Institute, American University, Washington, DC. United States, PP. 40-44. Salama, A. M. (2008). Exploring Qatar University Campus: Design Intentions - Users Expectations. MAGAZ Magazine, Issue 104, Cairo, Egypt, PP. 104-111. Salama, A. M. (2008). Recognizing the Architecture of the Other. MAGAZ Magazine, Issue 103, Cairo, Egypt, PP. 76-91. Salama, A. M. (2008). Innovation meeting Aspiration: Isozaki and Legoretta in the Midst of the Education City Campus, Qatar. MAGAZ Magazine, Issue 101, MAGAZ Magazine, Cairo, Egypt, PP. 76-83. Salama, A. M. (2008). Sustainable Tourism:Exploring the Fragile Environment in Egypt. The Big Project, CPI Industries, Issue 14, Dubai, United Arab Emirates, PP. 40-53. ISSN # 6-297000-070162. Salama, A. M. (2006). A Gateway on the Road to Dammam: Visual Messages and Power Statements. Architecture+, Issue 11, InHouse Creative, Dubai, United Arab Emirates, PP. 104-108. ISSN # 1684-4084. Salama, A. M. (2005). Importance of Water and Its Reuse in Design. Architecture+, Issue 10, InHouse Creative, Dubai, United Arab Emirates, PP. 102-104. ISSN # 1684-4084. Salama, A. M. (2005). Visual Messages and Intellectual Arguments on Contemporary Egyptian Architecture. (Arabic). Al Benaa Magazine, Issue 183, Riyadh, Saudi Arabia, PP. 92-99. ISSN # 1319-206X. Salama, A. M. (2005). Symbolism from Within. Architecture+, Issue 8, InHouse Creative, Dubai, United Arab Emirates, PP. 62-67. ISSN # 1684-4084. Salama, A. M. (2004). A Peaceful Fusion of Cultures. Faith and Form Magazine, Volume 37, Issue 2, Faith and Form, Inter-Faith Forum on Religion, Art, and Architecture – IFRAA, Connecticut, United States, PP. 17-20. ISSN # 0014-7001. Salama, A. M. (2004). Viewpoint – Learning Environments: Shaping and Coloring a Bright Future. Architecture+, Issue 6, InHouse Creative, Dubai, United Arab Emirates, PP. 19-21. ISSN # 1684-4084. Salama, A. M. (2003). Voice for an Alternative Architectural Education: Integrating the What and How. ARCHITIMES, Volume 19, Issue 9, ArchPress, Karachi, Pakistan. ISSN # SS261. Salama, A. M. (2003). The Courtyard House:Memory of Places Past. Architecture+, Issue 3, InHouse Creative, Dubai, United Arab Emirates, PP. 140-144. ISSN # 1684-4084. Salama, A. M. (2002). Sustainability: Is it a Dream, Utopia, or Romantic Gesture? Bulletin of IAPS-International Association for People-Environment Studies, Volume 21, Spring Issue, IAPS, Eindhoven, The Netherlands, PP. 23-25. ISBN # 1301-3998. Salama, A. M. (2002). Viewpoint – Ecolodges: An Emerging Paradigm for Sustainable Tourism. 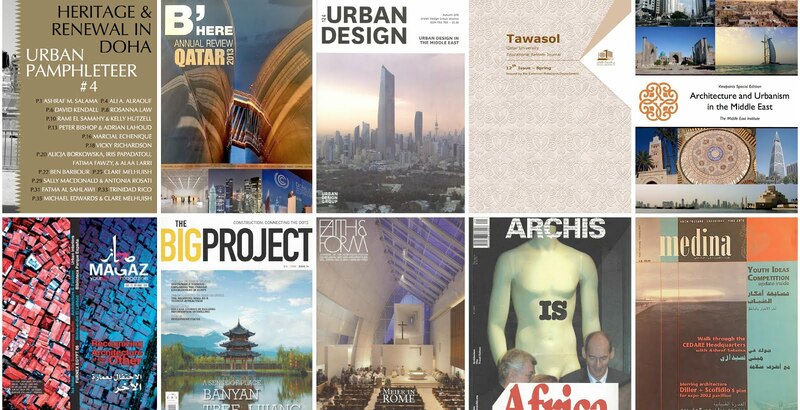 Architecture+, Issue 2, InHouse Creative, Dubai, United Arab Emirates, PP. 16-19. ISSN # 1684-4084. Salama, A. M. (2002). Gamal Bakry: Master of Aesthetic Components. Architecture+, Issue 2, InHouse Creative, Dubai, United Arab Emirates, PP. 66-69. ISSN # 1684-4084. Salama, A. M. (2002). 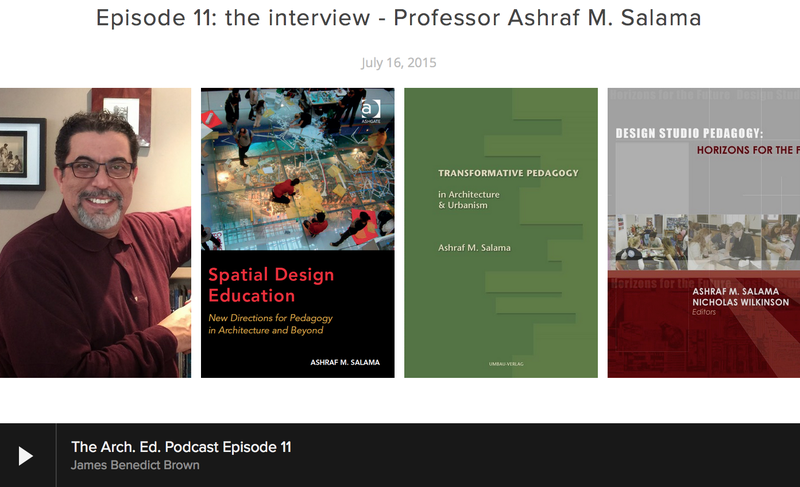 The Architecture of Gamal Bakry: Thematic Impressions (English and Arabic). Medina Magazine, Issue 21, Medina Publishing, British Virgin Islands, PP. 28-32. Salama, A. M. (2002). A Critical Voice on Architecture and Urbanism: Contemporary Cairo Demystified. ARCHIS, Issue 1, ARCHIS, Amsterdam, The Netherlands, PP. 29-33. ISSN # 9-771568273007. Salama, A. M. (2001). Nachar-Segeeny Museum: Balancing and Harmonizing the Receptacle and Spectacle (English and Arabic). Medina Magazine, Issue 20, Medina Publishing, British Virgin Islands, PP. 66-71. Salama, A. M. (2001). Running with or Against the Wind: A Closer Look at Egyptian Architecture in the Nineties (English and Arabic). Medina Magazine, Issue 19, Medina Publishing, British Virgin Islands, PP. 34-41. Salama, A. M. (2001). Feasibility of Urban Research (Arabic). Al Ahram Newspaper, July 10, 2001, Al Ahram Publishing, Cairo, Egypt. Salama, A. M. (2001). Metaphorical Entrances:Between Visual Pleasure and Meaning (English and Arabic). Medina Magazine, Issue 18, Medina Publishing, British Virgin Islands, PP. 54-58. Salama, A. M. (2001). CEDARE Headquarters: Glocalism and the Architecture of Resistance (English and Arabic). Medina Magazine, Issue 17, Medina Publishing, British Virgin Islands, PP. 32-37. Salama, A. M. (2002). Abdel Rahman El Nachar: Living Memory from Jerusalem Tragedy to Geometrical Integration (English and Arabic). Medina Magazine, Issue 14, Medina Publishing, British Virgin Islands, PP. 72-75. Salama, A. M. (2000). Back to the Future: The Ecolodge: An Alternative Futuristic Eco-Friendly Tourist Facility (English and Arabic). Medina Magazine, Issue 11, Medina Publishing, British Virgin Islands, PP. 54-57. Salama, A. M. (2000). Rediscovering the Heritage of Quseir: Past Port, Present Challenges, and Future Dreams (English and Arabic). Medina Magazine, Issue 11, Medina Publishing, British Virgin Islands, PP. 46-51.